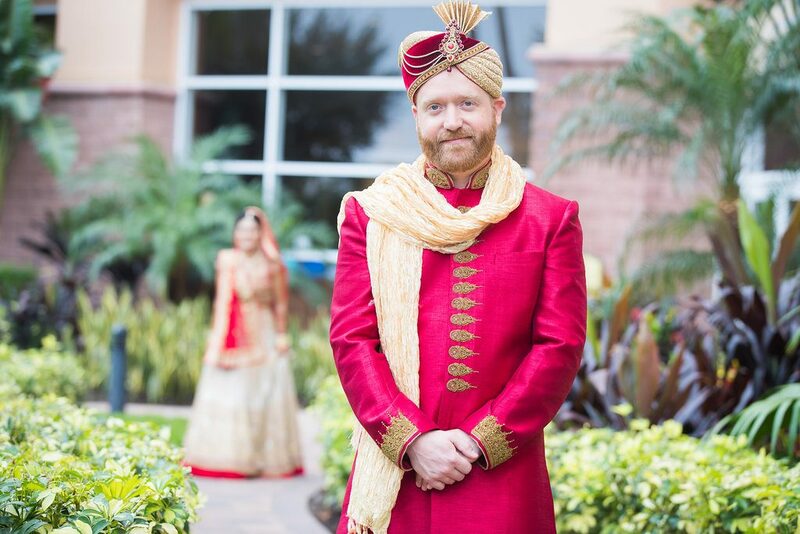 Blended Cultural Weddings | Rosen Center Wedding of Sapna and Brad - Orlando Wedding Planners | Just Marry! 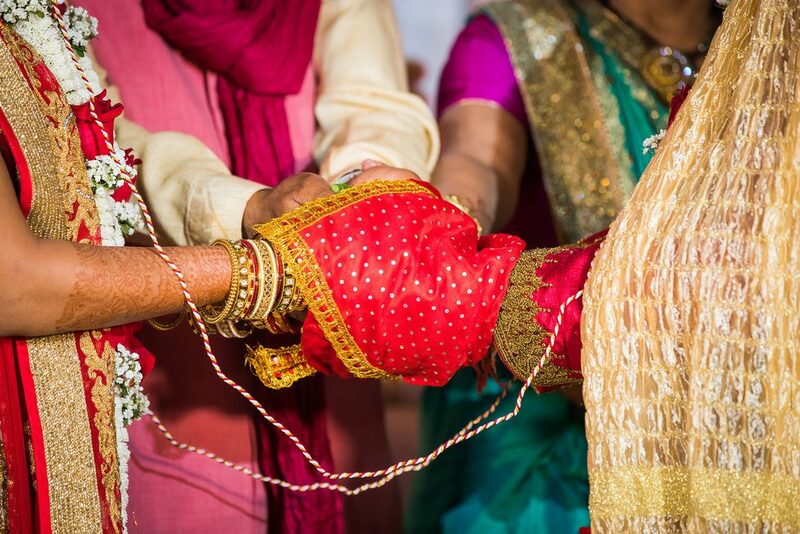 February 4, 2019 by Just Marry! 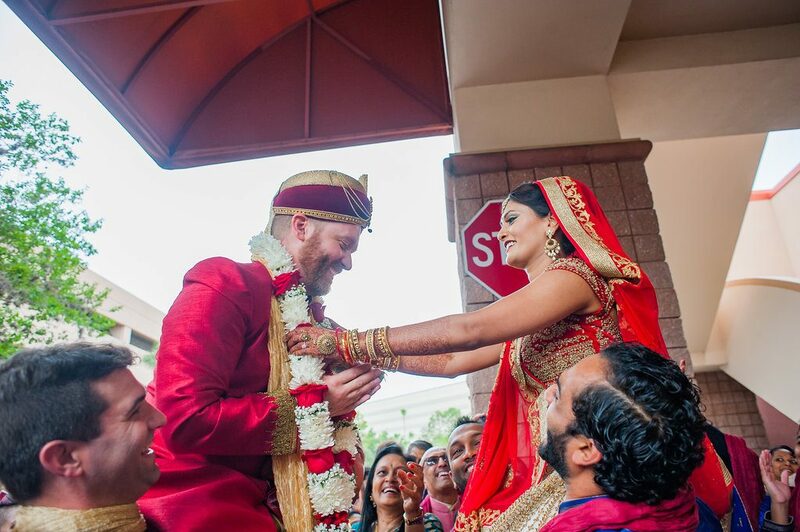 Sapna and Brad’s wedding at the Rosen Center Hotel took place on a beautiful day in mid-May. 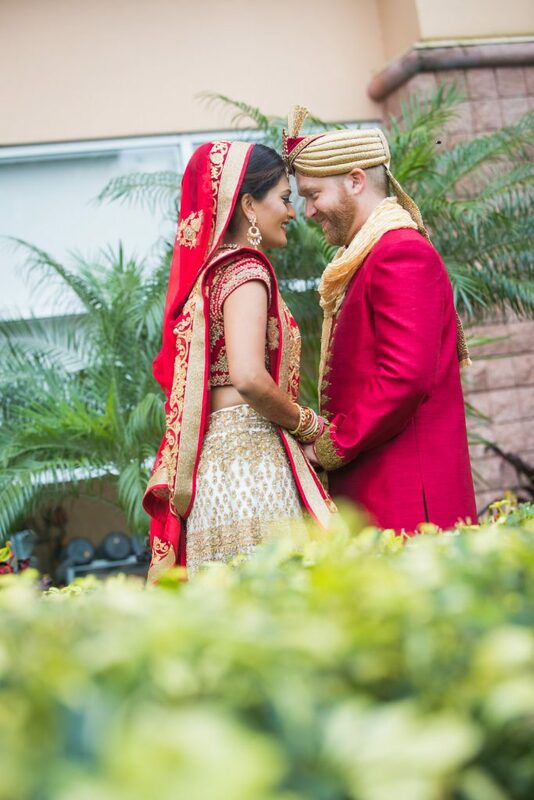 Theirs was one of the most memorable blended cultural weddings we’ve ever had the pleasure of planning! 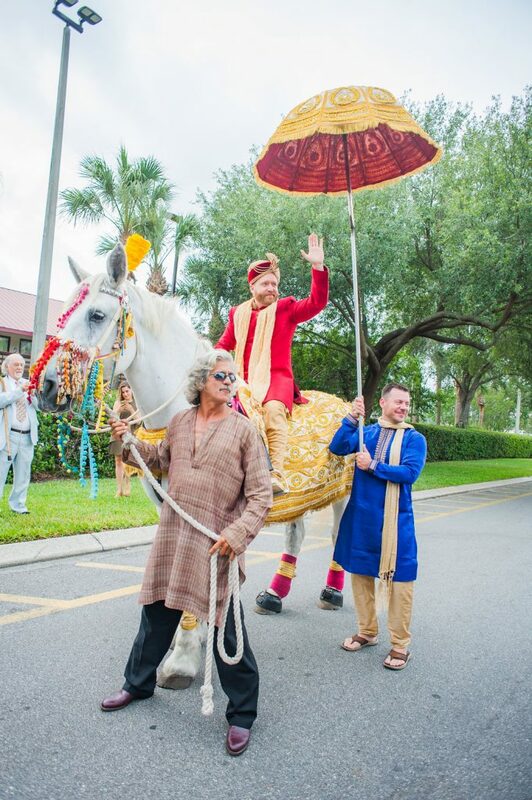 It was a joy to see how wonderfully their decision to blend Brad’s Christian traditions with Sapna’s Hindu traditions came together. 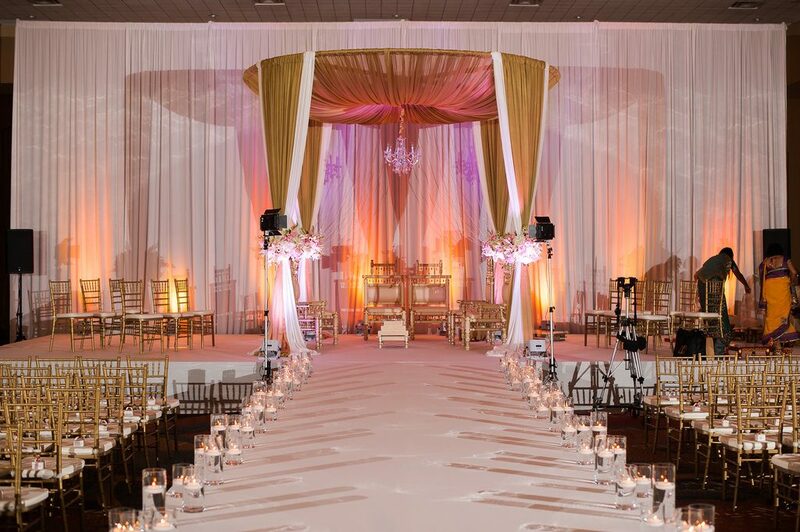 We loved that the couple chose different color palettes for their ceremony and their reception. 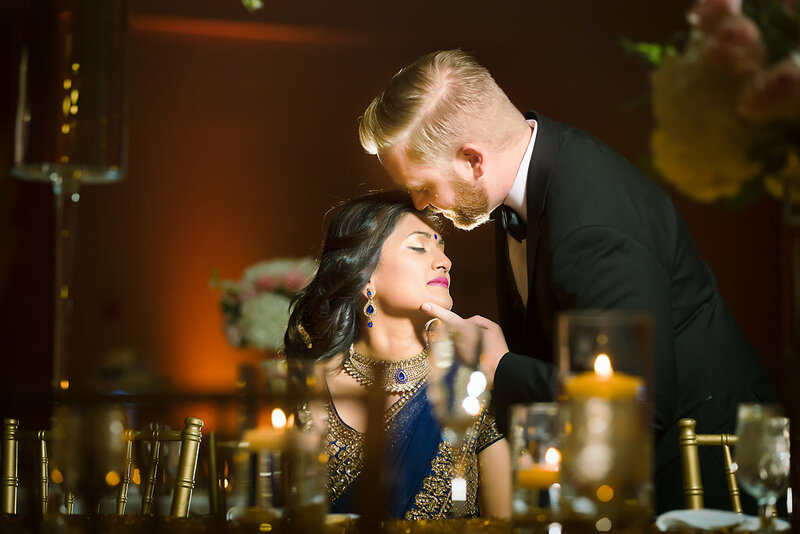 Their red and gold ceremony was warm and romantic, while their dark blue and gold reception exuded elegance and sophistication. 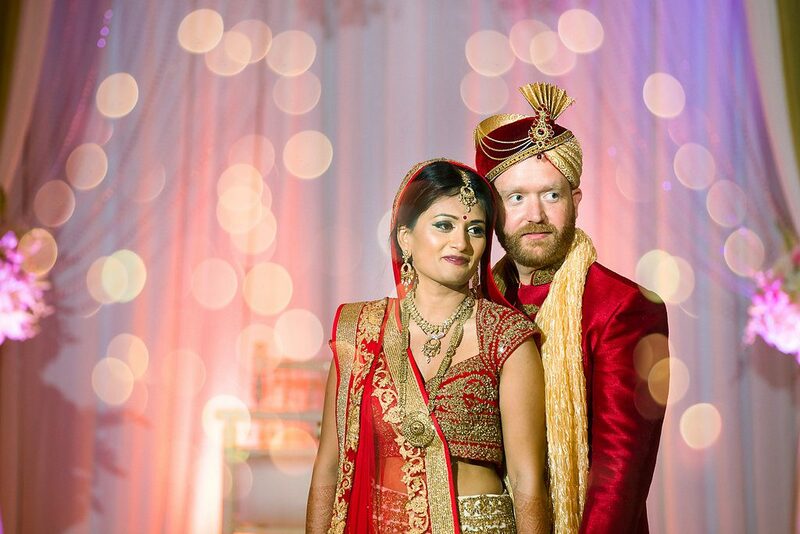 It all came together in a spectacular wedding that we’re sure this couple and their guests will never forget! 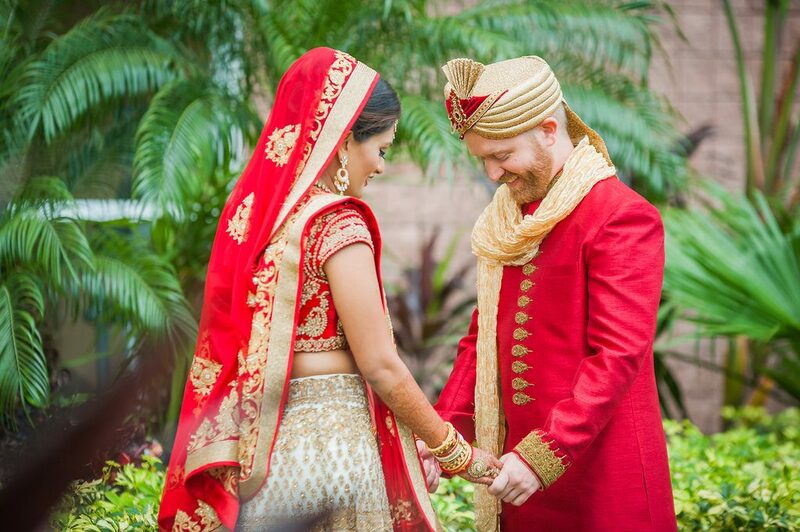 I loved how they combined a Hindu and Christian ceremony. 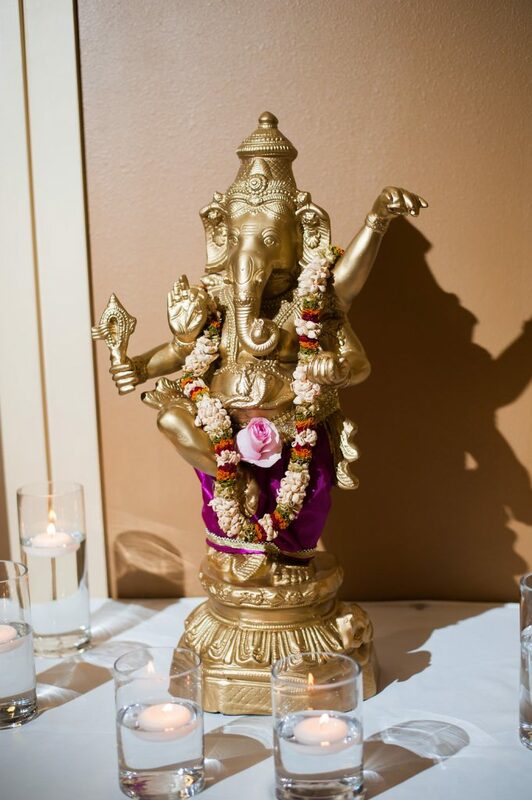 The Hindu ceremony was first and then the bridal party recessed. The best man changed from his wedding party attire into his robe (he was a minister), the bridal party processed down the aisle again, and the best man performed the Christian ceremony. It was perfect! For me it was watching the bride and groom take their pre-wedding photos together. They were so sweet! You could see how much they loved each other. 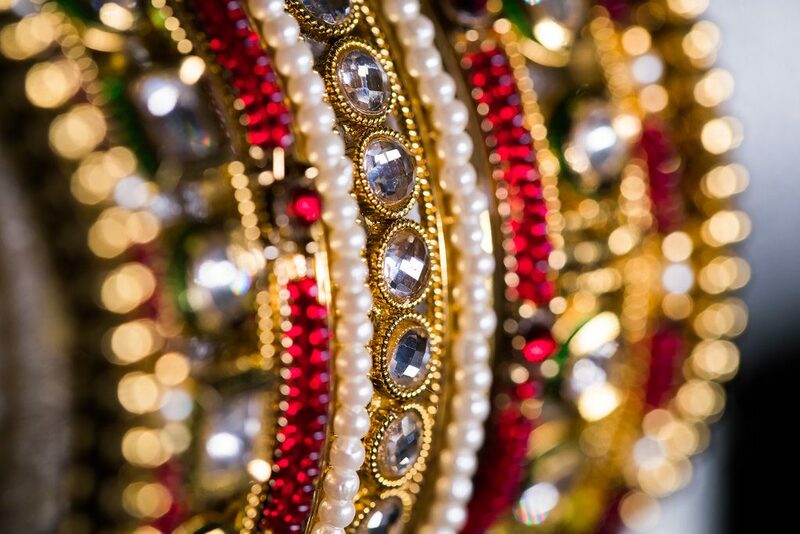 Blending Christian and Hindu traditions. 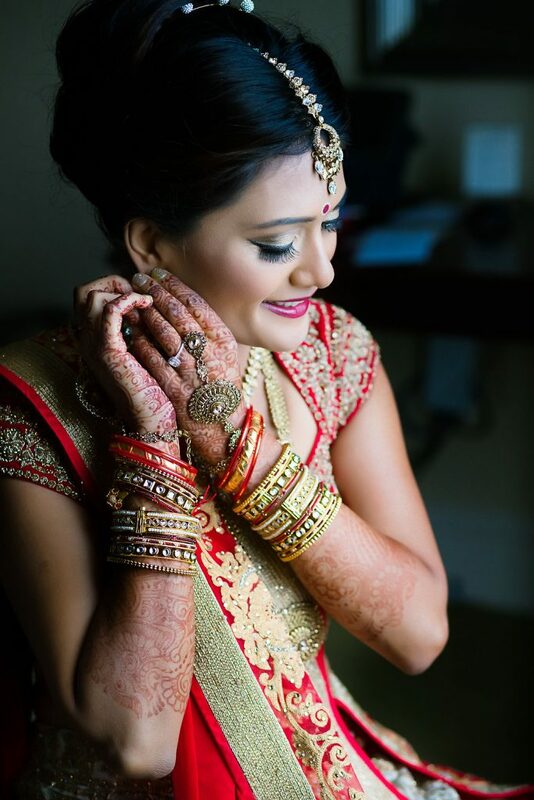 Sapna was so easy-going! She never seemed overly concerned about any of her details. 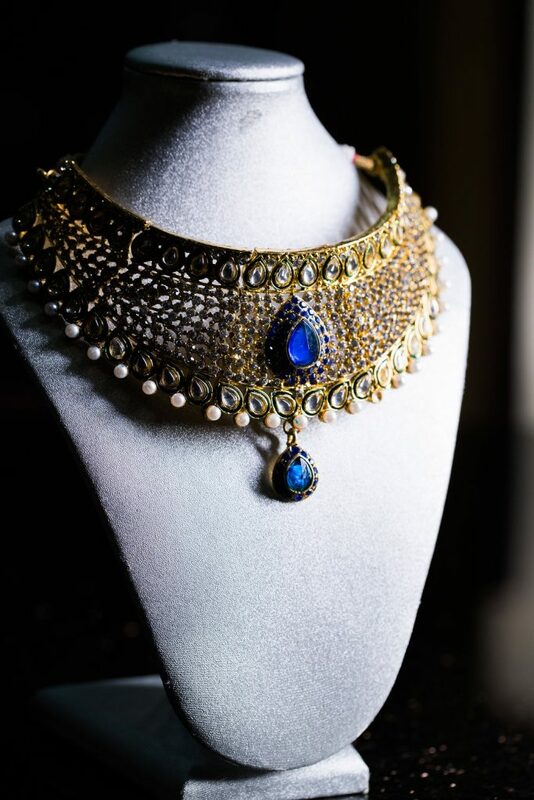 Everything came together smoothly and without angst. 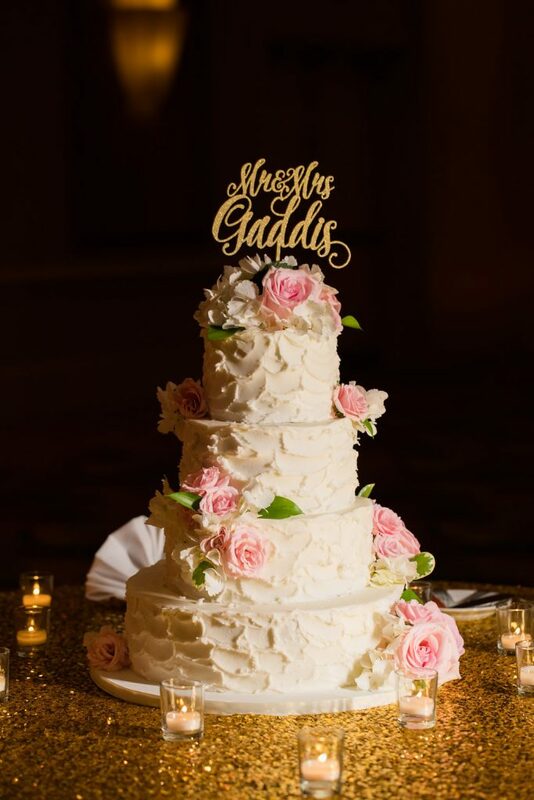 I loved their guest book! They had a drawing of a tree and guests added their thumbprints and signatures. 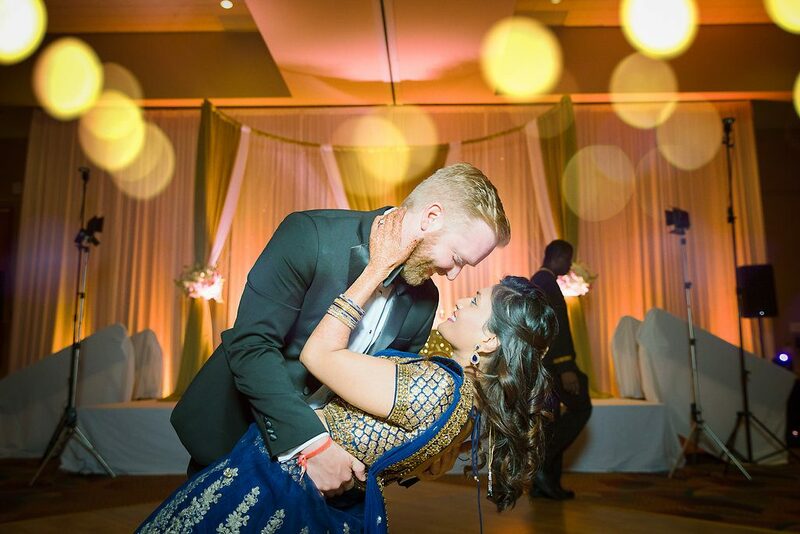 It will look wonderful hanging in their home after the wedding! 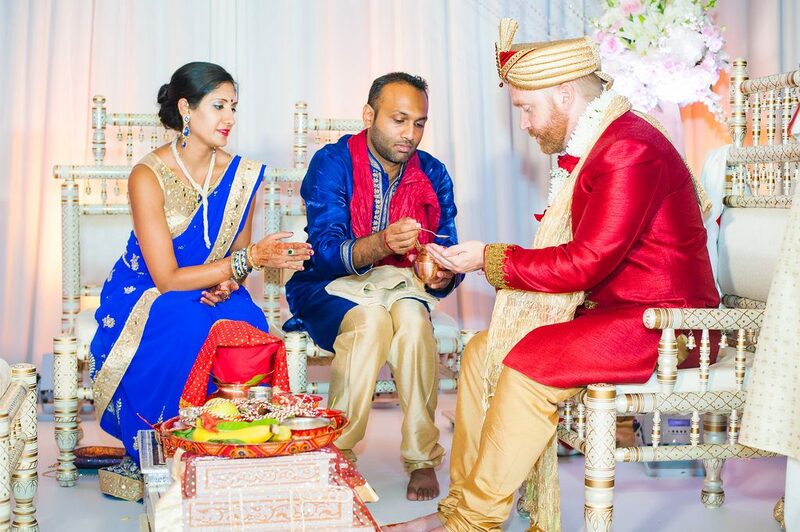 Are you planning a cultural wedding or a traditional one? 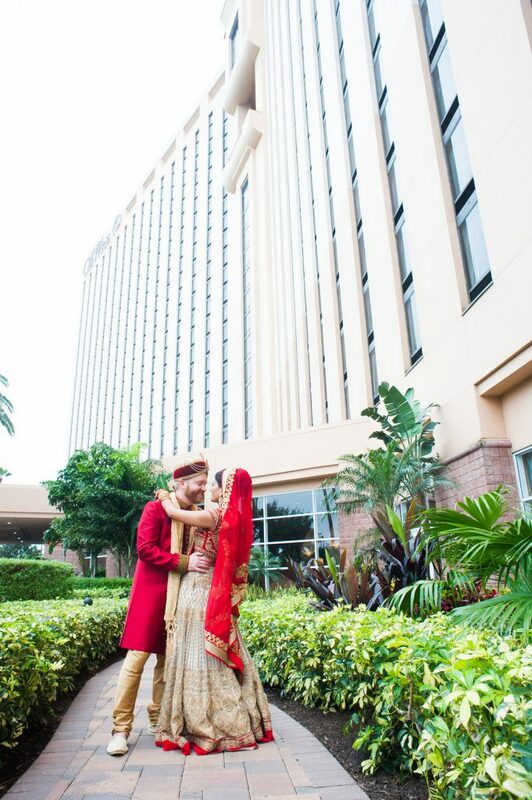 Our team of experienced Orlando wedding planners is here to help! 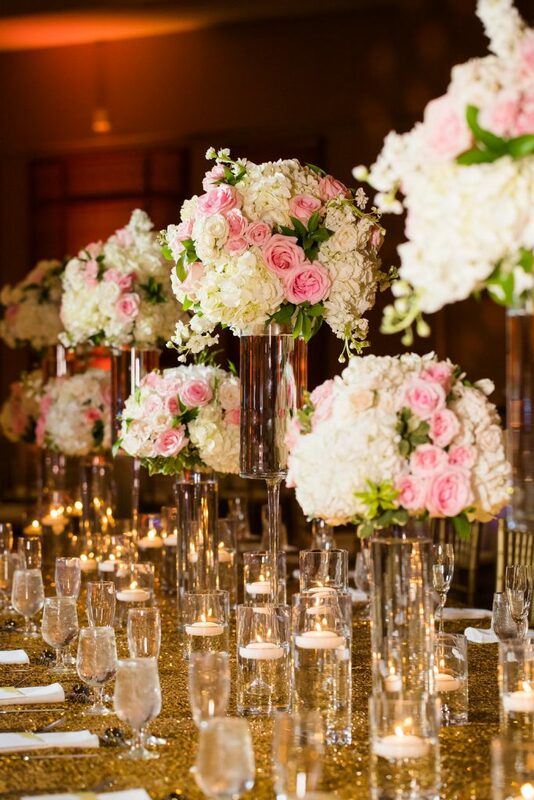 To learn more about how we can help bring your wedding dreams to life, simply fill out our handy form and a member of our planning team will reach out to you right away. 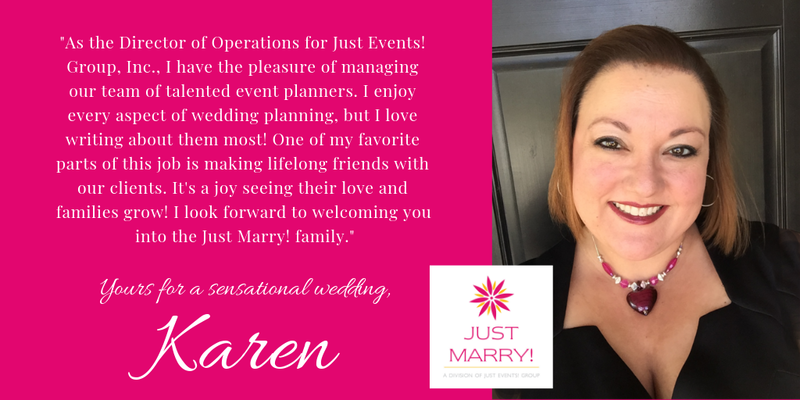 Whatever your planning needs may be, we would love to welcome you to the Just Marry! family!